The order general ranks will be listed as: #Letter = (Class rank – Class title). New ranks will be made each week! All members will be unable to withdraw penya. The penya contributed will be used to help fund for guild house/events. All contribution statuses will be reset to give everyone a fresh start! ALL toons (including alts) will be treated separately! This means you cannot combine main toon contribution with an alt toon contribution this year. All members will be able to withdraw from the guild warehouse. Please only take what you need to give new players a chance! While we are growing, you can place more than two alts in the main guild. I will update this when we change focus. New perks will be given to top 8 weekly winners such as a special role to show the community your achievement! The role will expire and renew every Saturday! There will be no Inspection-event this year. However, if my general game captains and Kingpins recognize that user has left the game, that spot will be given to a new player. Member recognition threads will be posted each month followed by some fun rewards and prizes! If for some reason you are black-listed (meaning you violated a regulation & are under probation) you will not be eligible to have a rank promotion until your probation has been lifted. The same Alt regulations apply to my extra characters as well that fill the guild, unless if I am saving that spot for a member awaiting to become a SexyToy after proper registration or contact. Penya Conversion --> Quest Item is simple. Net Sum (x) = total amount of x+y in quest item value. I am going to introduce a special point system. Notice how this is still under-development but depending how many people turn in missions & what-not, they will receive different prizes for each bonus point they accumulate. If this system becomes more successful, I might implement CS prizes. For now they have reasonable event properties. 04/20/2018 update: Please do not pay attention to any exclusive prizes listed in each event thread. Only follow this post. These are basic types of missions that a typical Ninja would complete in their daily routine. SEE THIS FORUM LINK! S-Rank missions are the highest paid missions a ninja can go on. They are extremely dangerous and are usually only assigned to a select few highly skilled ninja. These missions are completed by Jounin rank ninjas and usually include important tasks that will greatly benefit the hidden village or country, such as assassinations of wanted criminals and escorting important people across dangerous territory. B-Rank missions are mostly completed by Chuunin rank ninjas. They usually involve assignments such as reconnaissance missions and assassinations of low ranking enemy ninja. 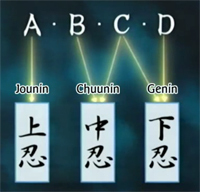 These are completed mostly by Chuunins, but are sometimes done by Genins as well. Various assignments include, hunting wild animals for food, and acting as a bodyguard for important villagers. This is the lowest class mission that can be completed and are usually done by Genins. These missions are usually small priority and involve completing small errands for people around the village. GM led events fall under the B-Rank category. Participation for GM events must have screenshots uploaded to our discord #fly-for-fun channel + include event name + who hosted it to prove you were there. Event Hub Directions: Members must go to FlyForFun Events forum and accept a mission by replying that you "accept the challenge" & then reply another post that you "complete it" to show completion. Some missions require you to submit certain items to bear for completion! Note: If recruits have to PM me, they must only do so in forums. They cannot pm me in guild mail/or private chat in-game. Time Limit for Completion: 1 Week per challenge accepted. Multitasking events is NOT allowed. This means you must complete your first challenge before accepting another one. This does not mean you must complete a challenge per week. You can complete multiple but it must be one after the other. 2. [500 pts] Lottery: 500,000 Bonus Contribution added to your In-Guild Rank!! !